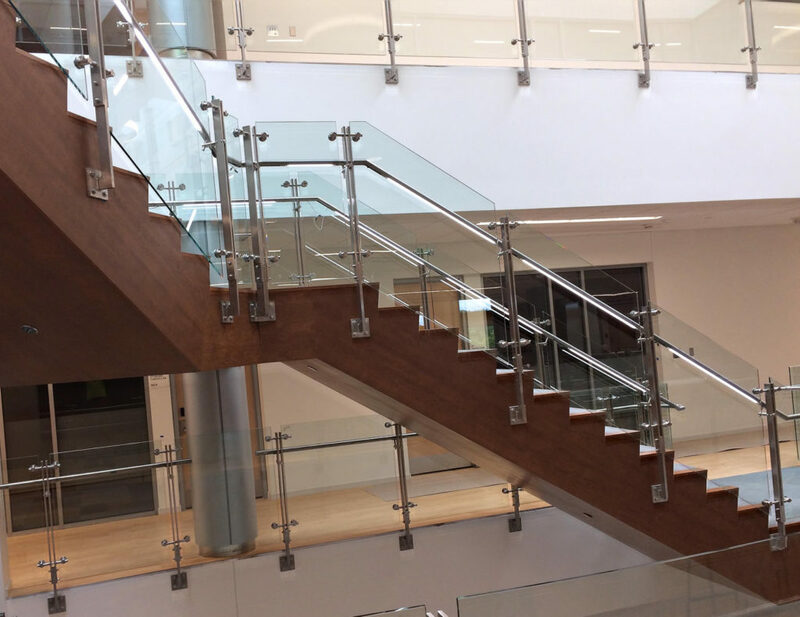 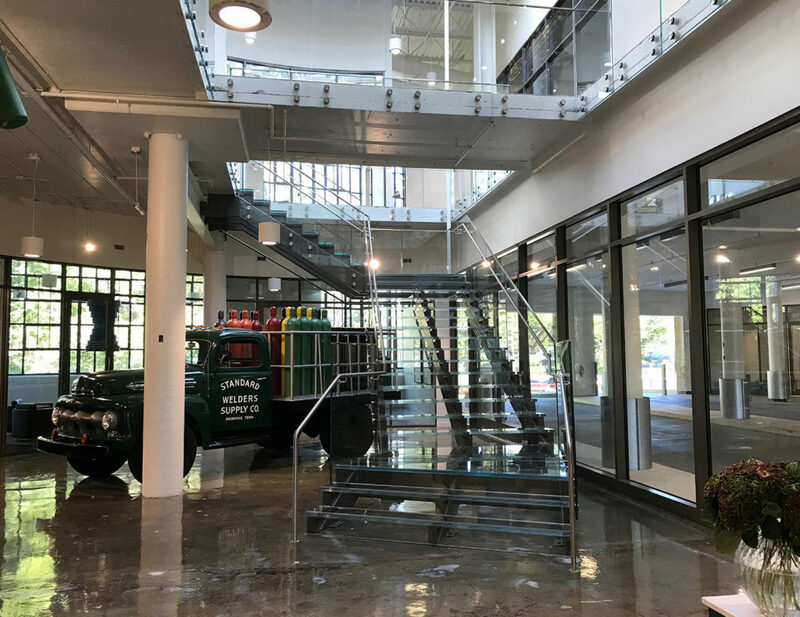 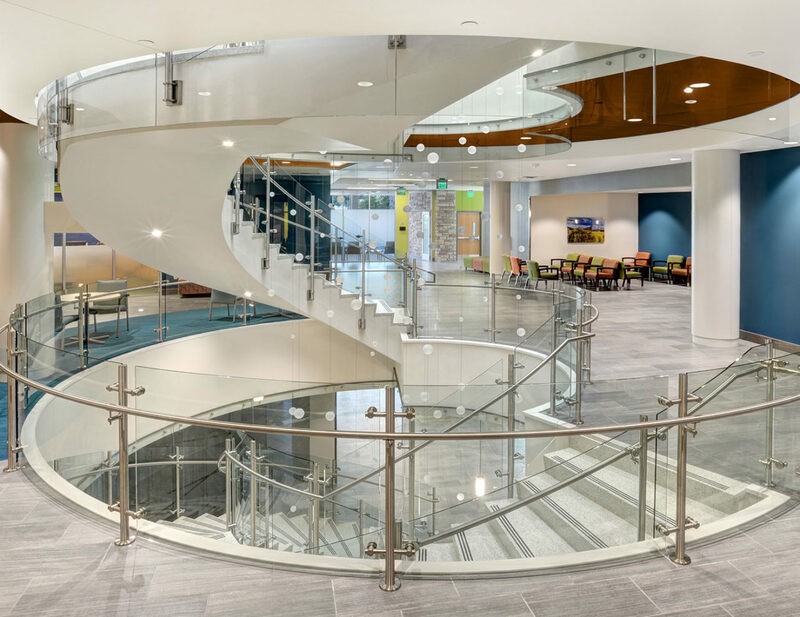 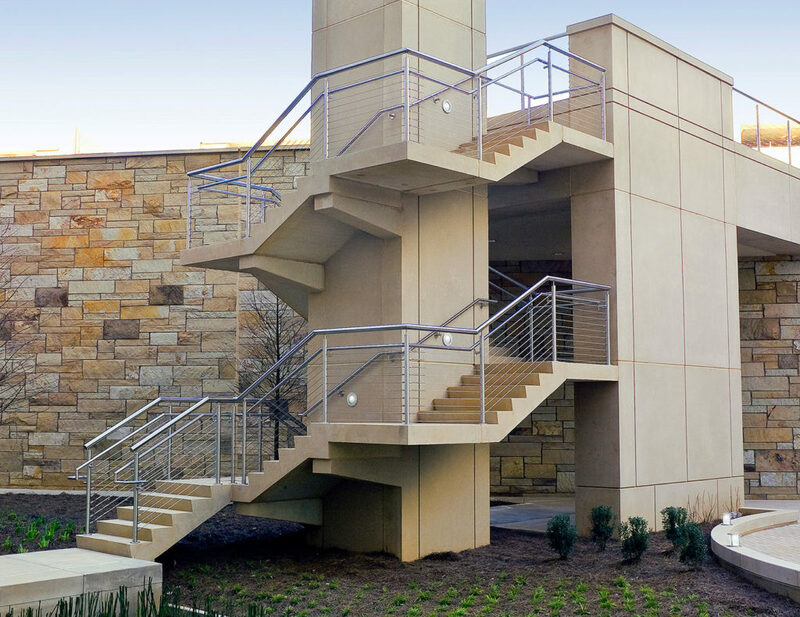 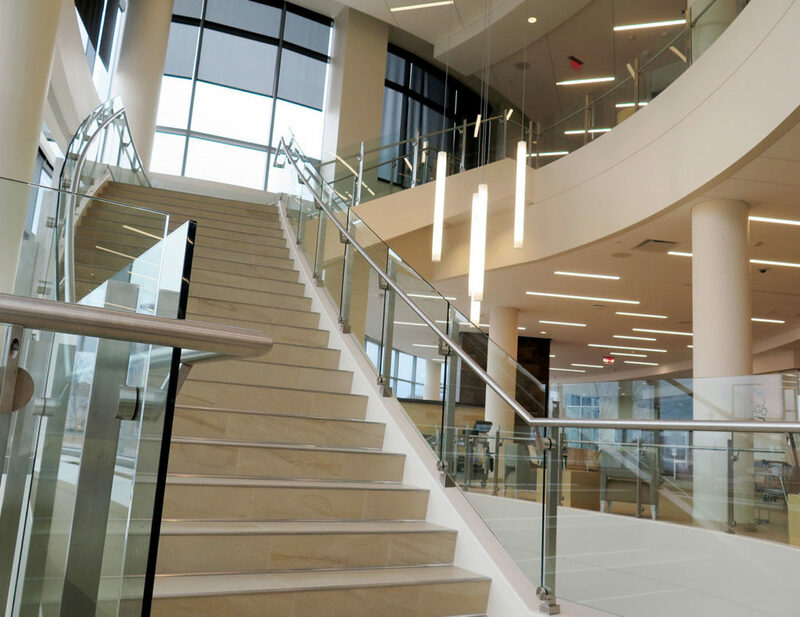 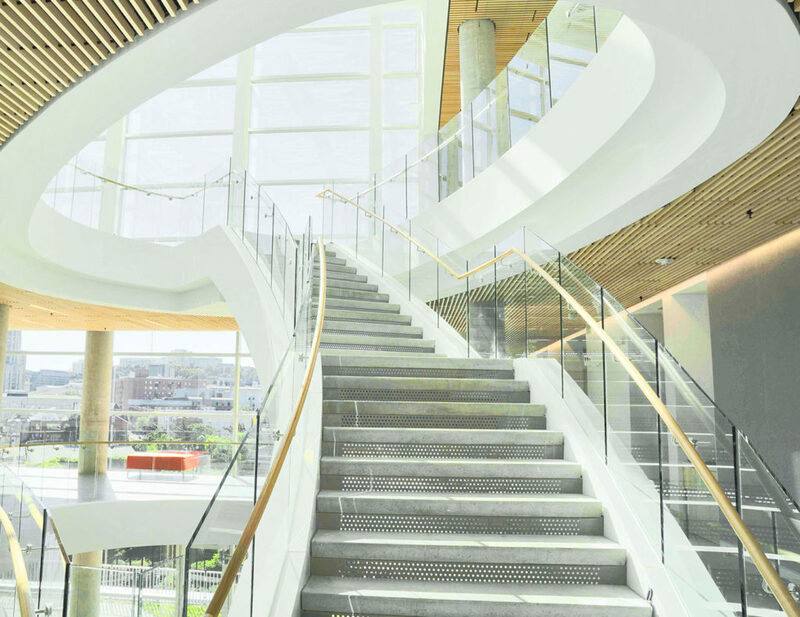 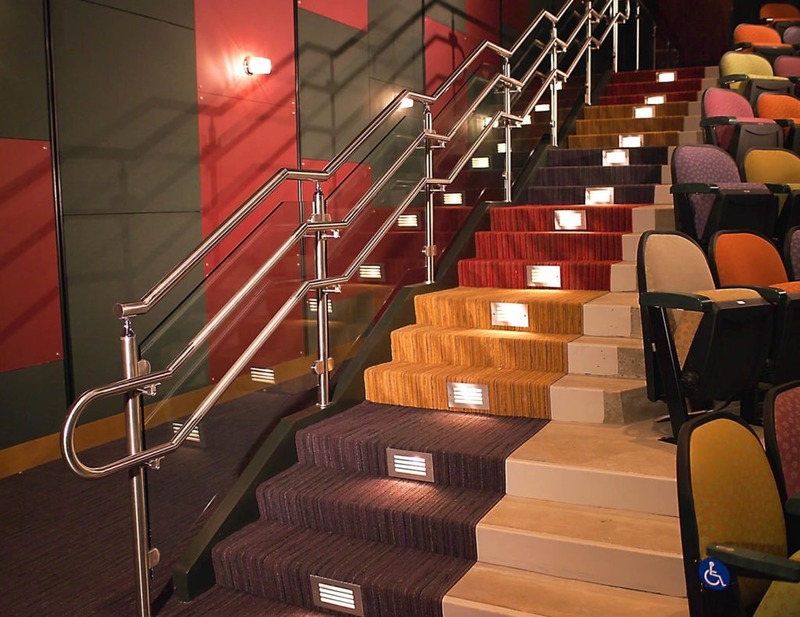 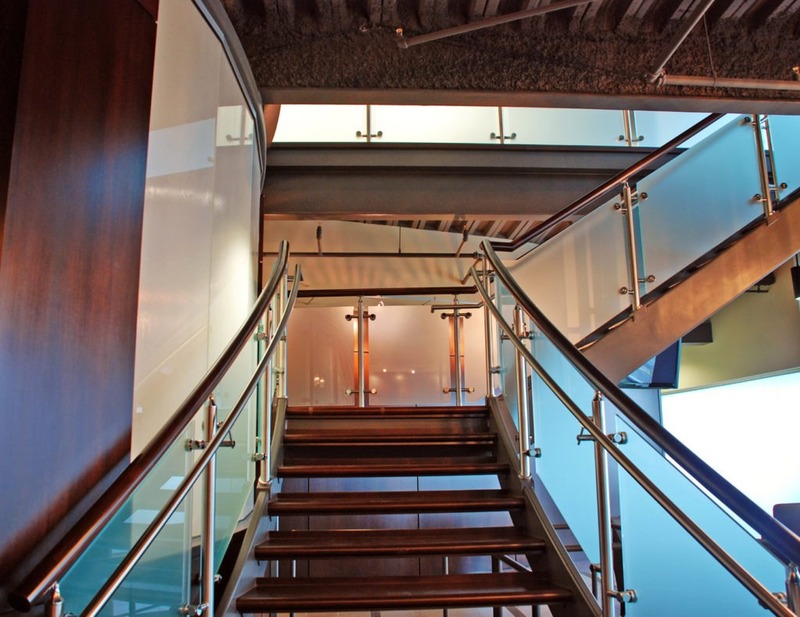 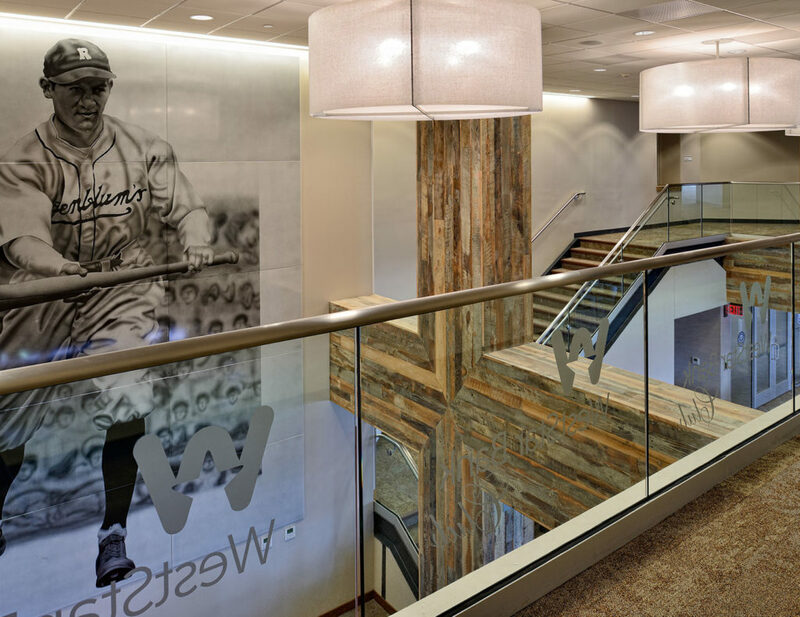 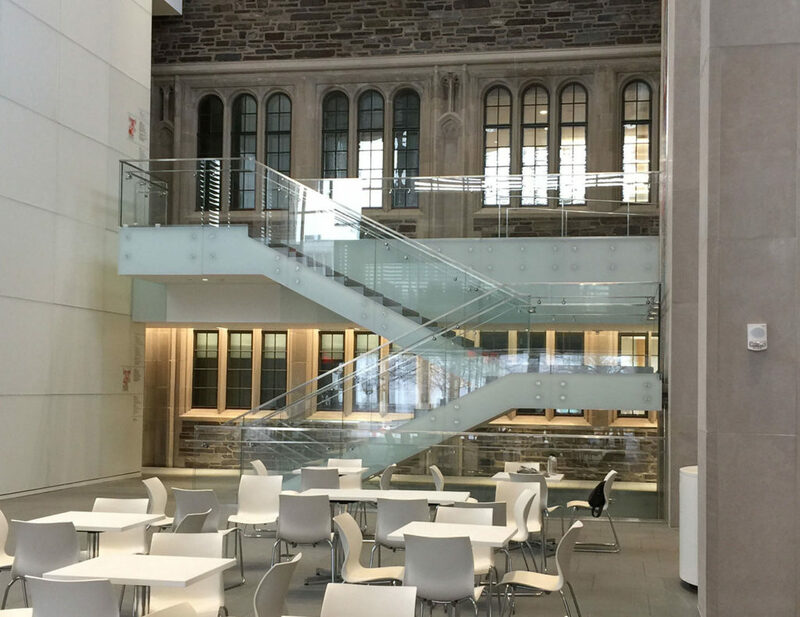 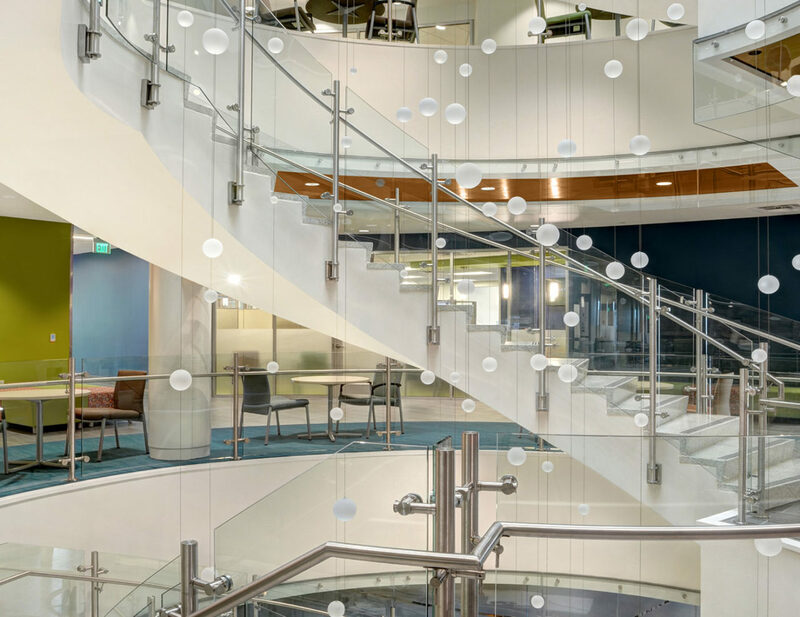 The circular staircase features a fascia-mounted railing application, facilitated by attaching a 4x6” stainless steel mounting plate to a steel weld block through two pre-drilled-and-tapped holes. 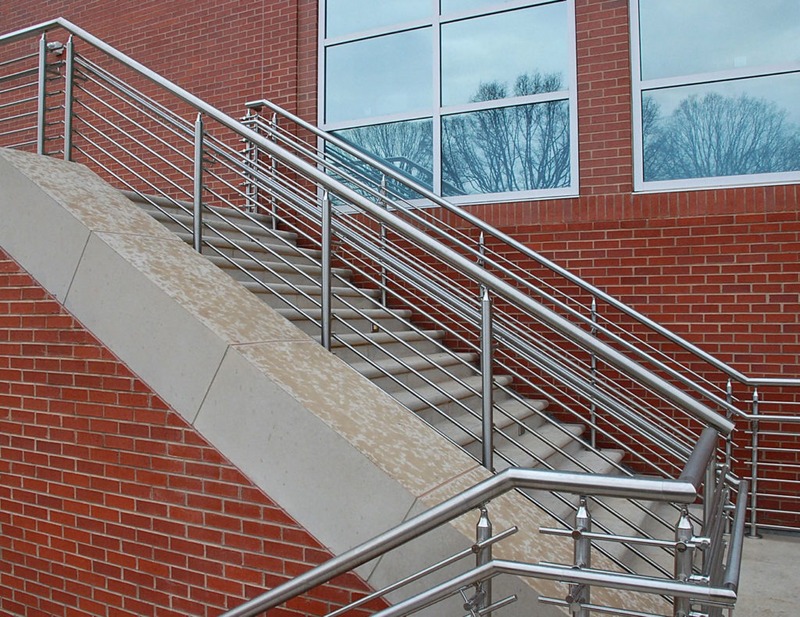 The block was welded directly to the stair stringer. 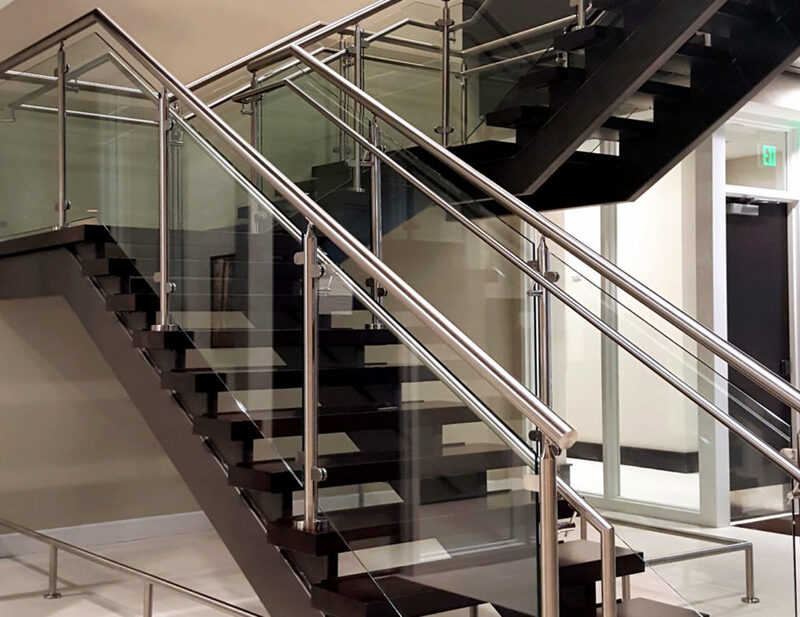 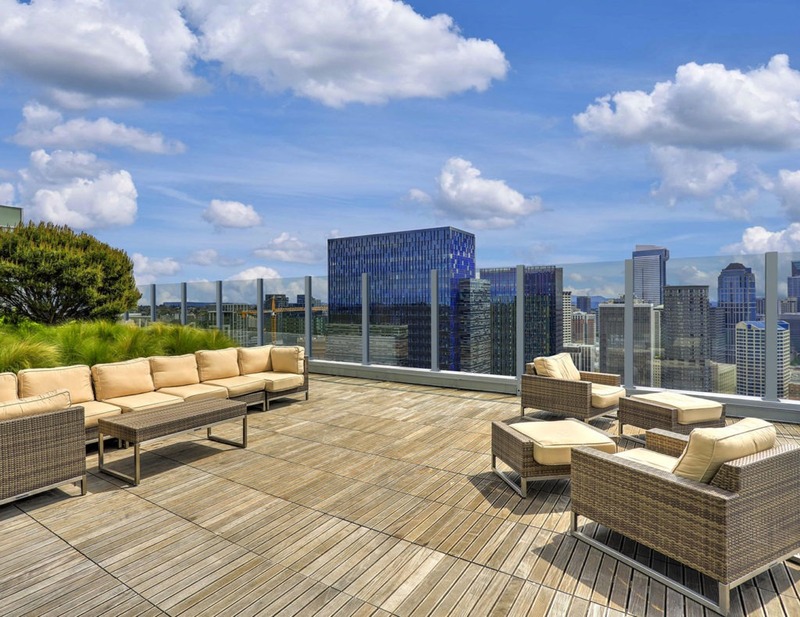 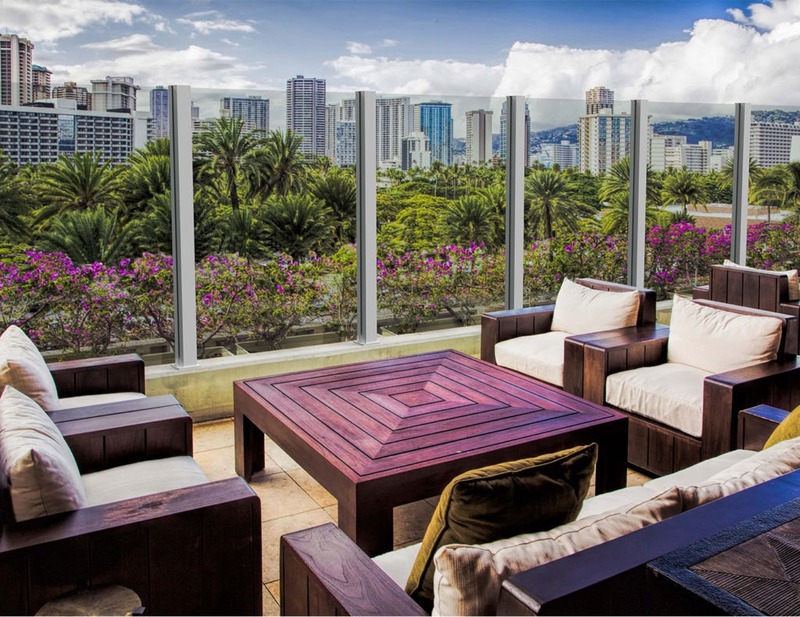 Via extension of the glass panel height and omission of a top cap, the Equinox glass railing system provides an open, airy ambiance with panoramic views. 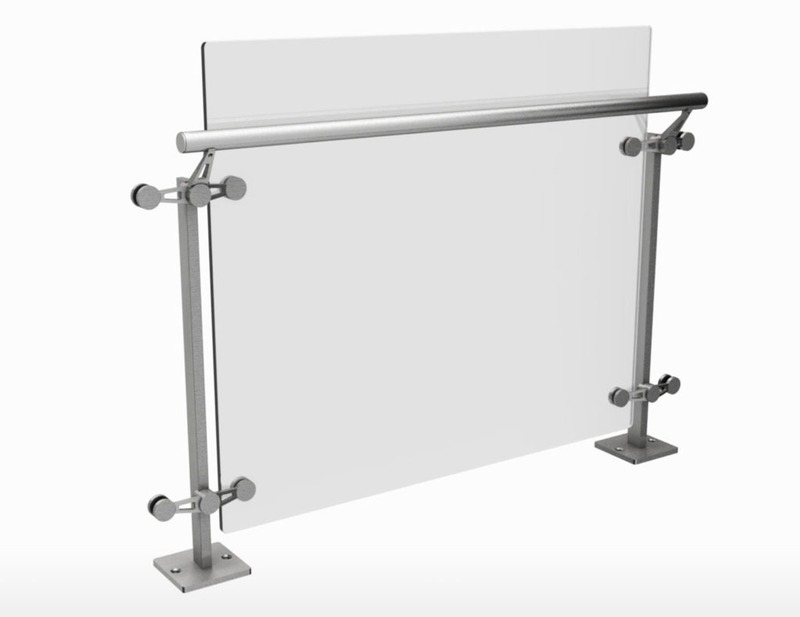 Achieve the desired look with the option of disk-and-rod or glass clamp mounts. 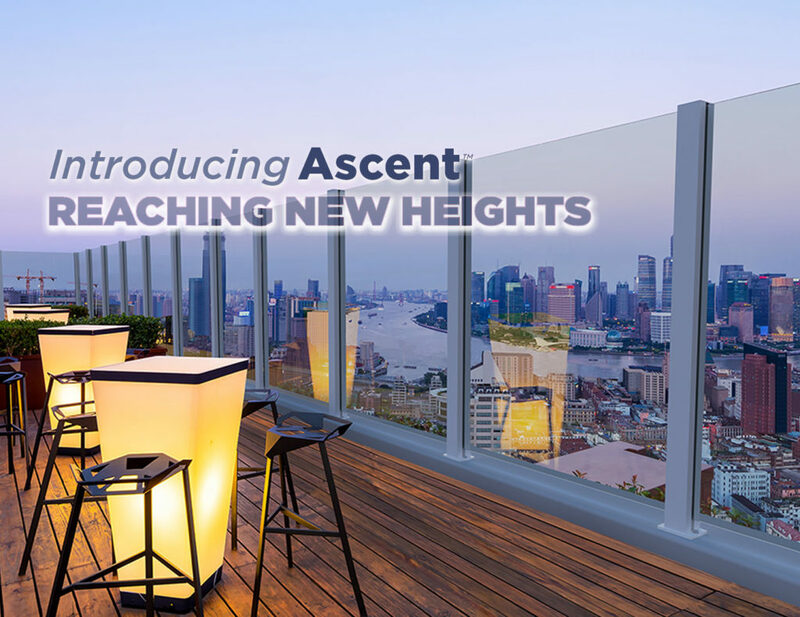 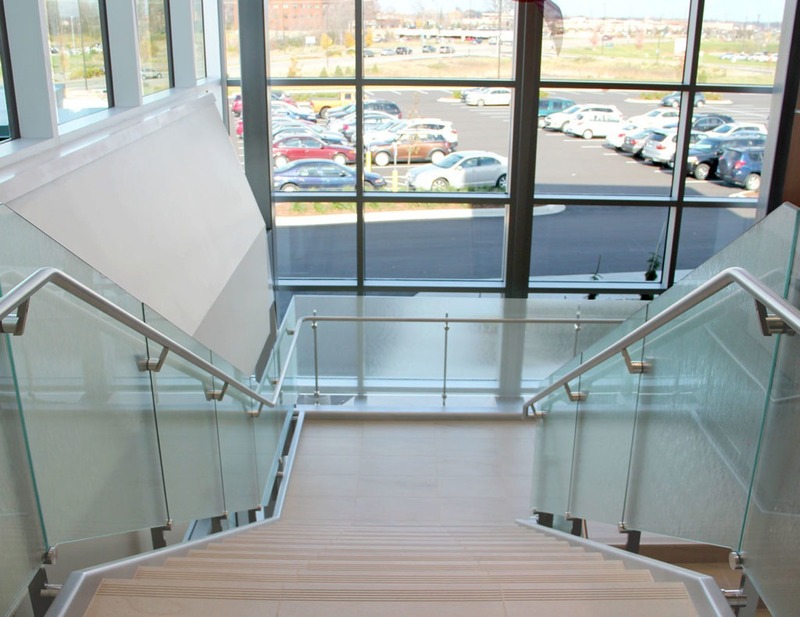 This glass windscreen system provides the ability to reach new heights for your next commercial project. 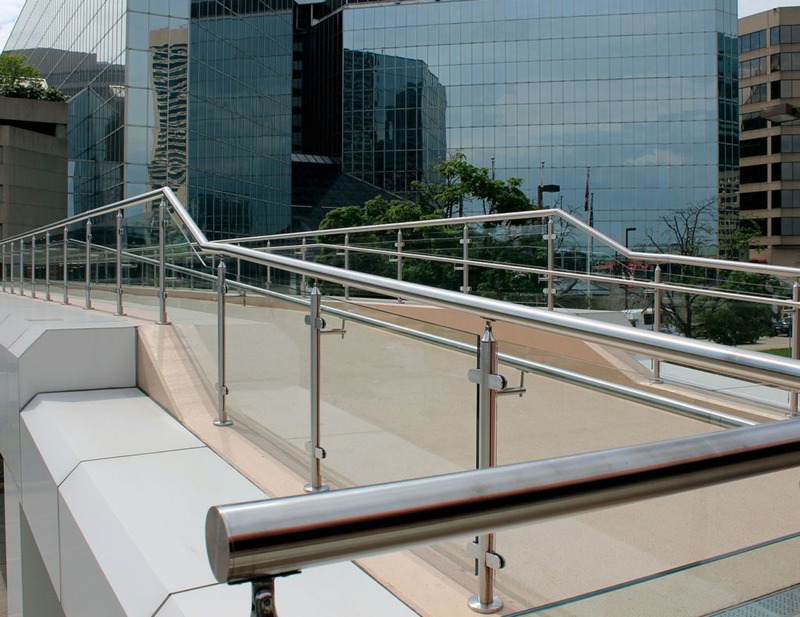 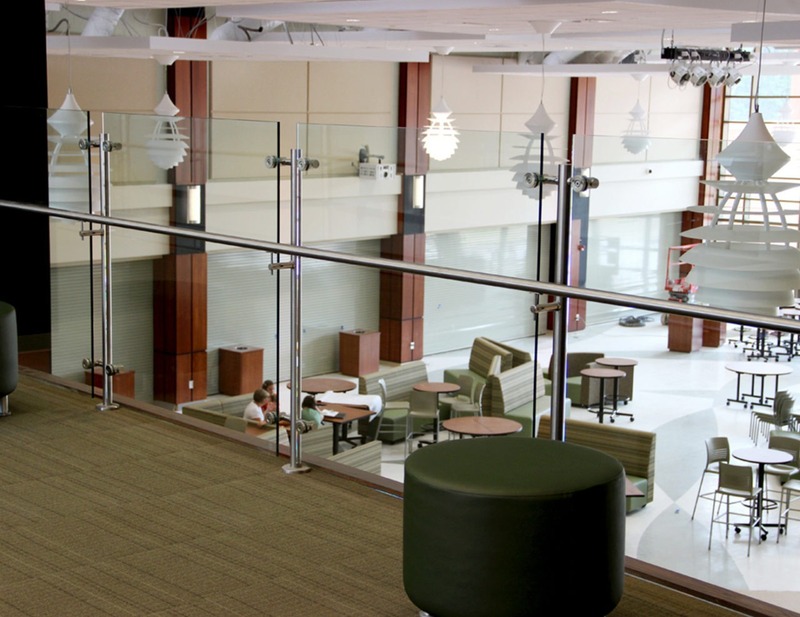 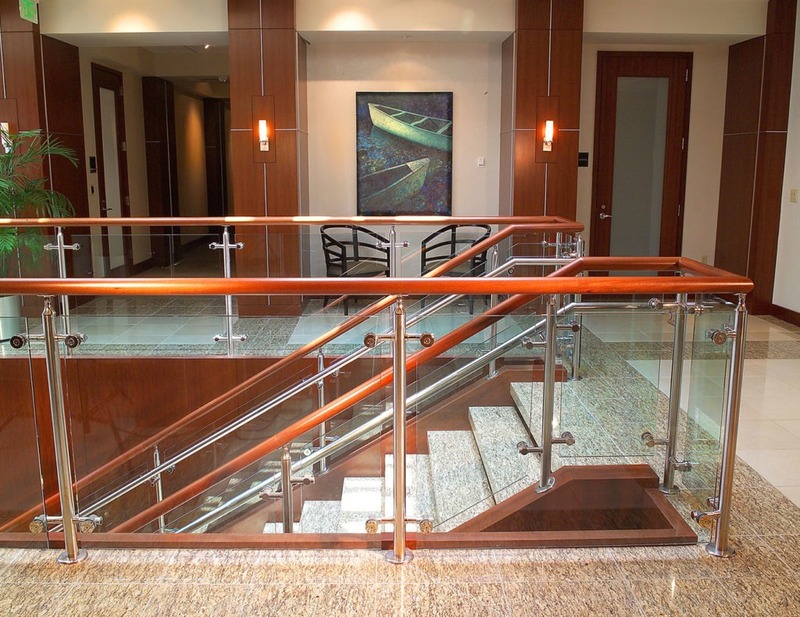 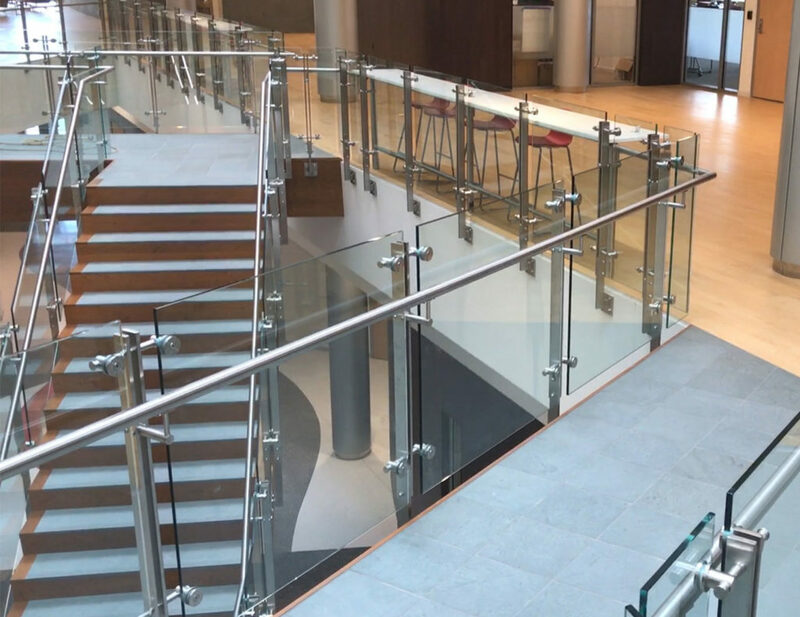 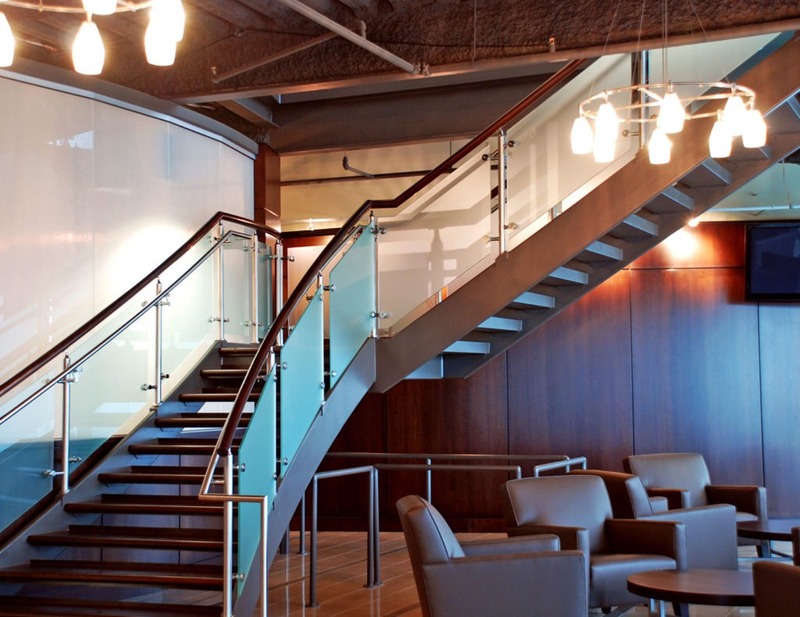 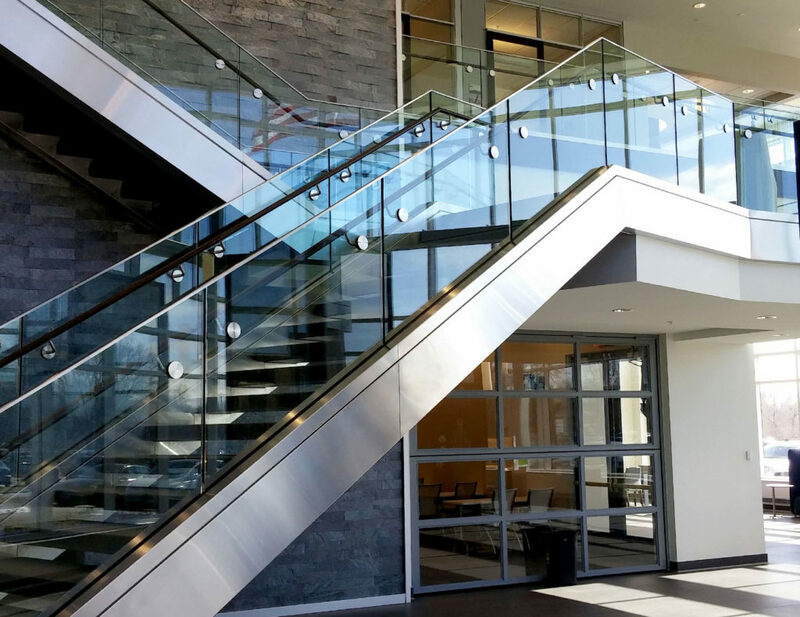 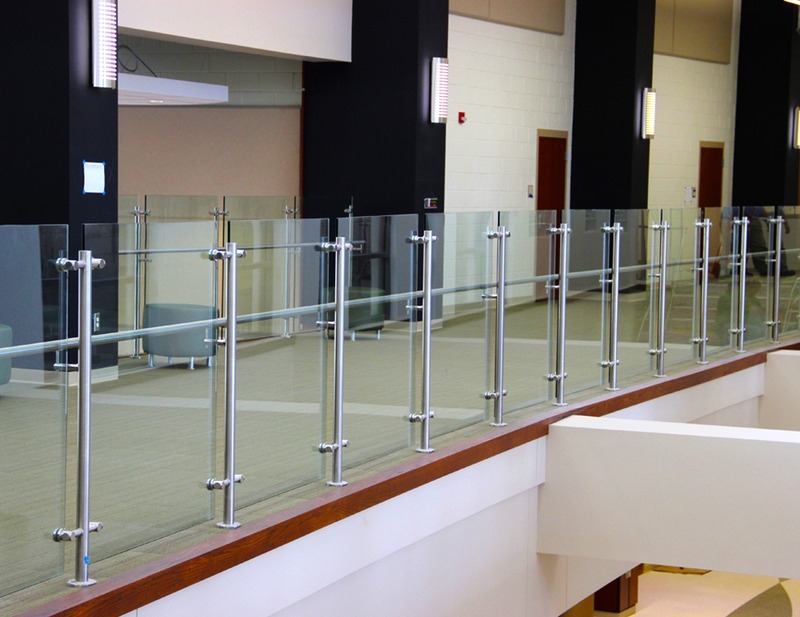 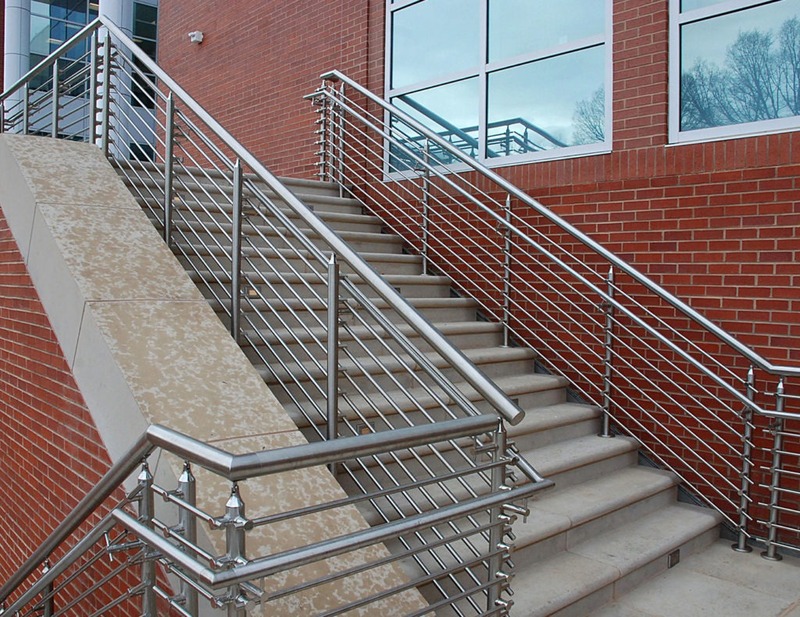 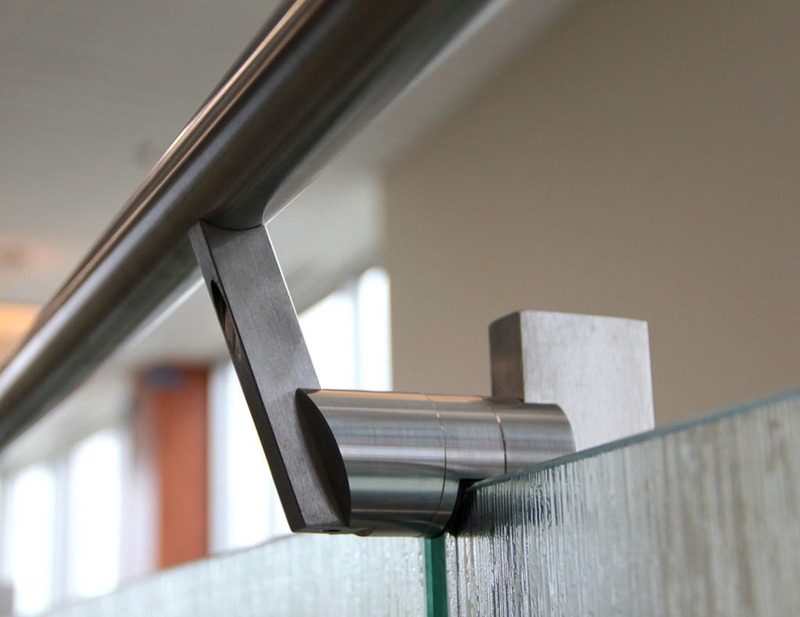 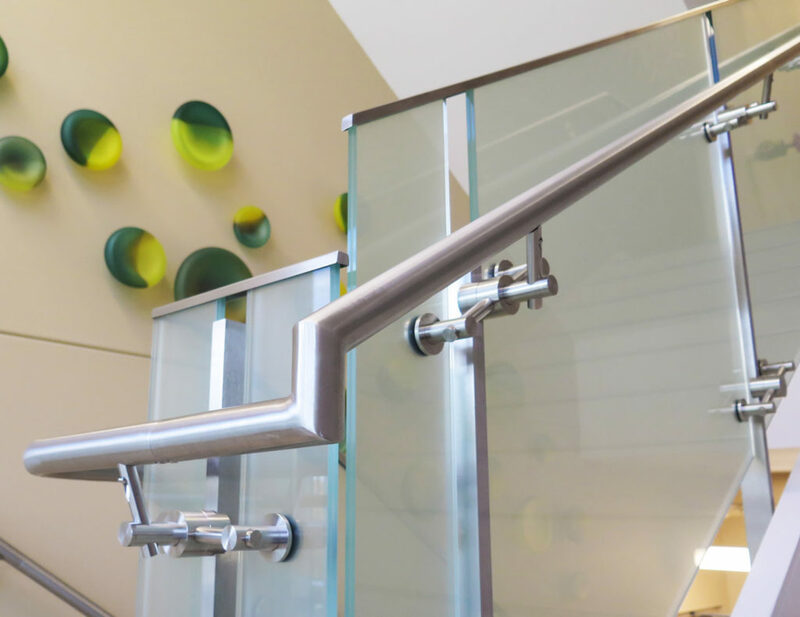 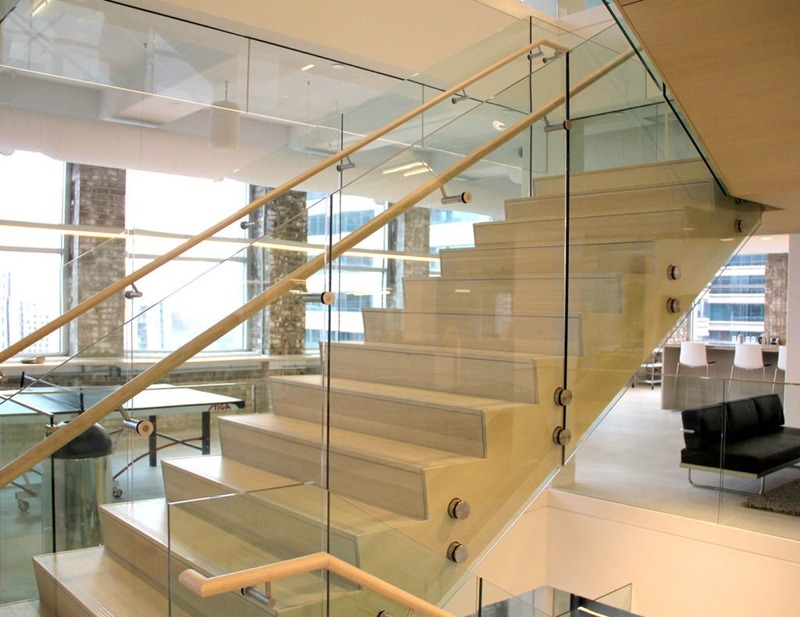 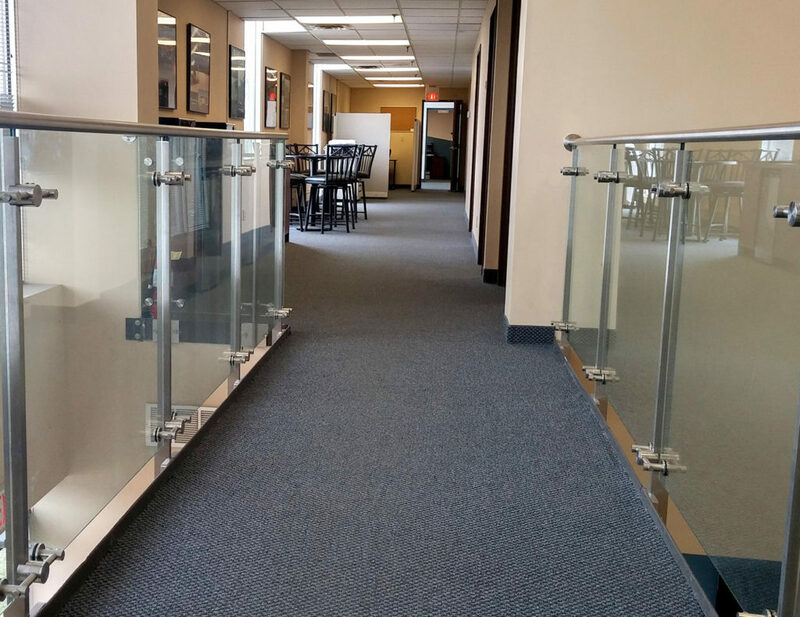 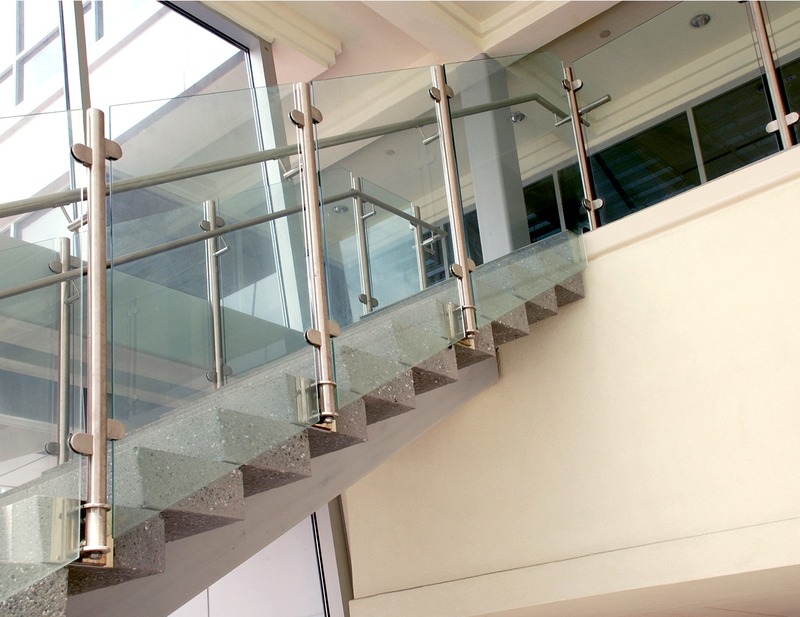 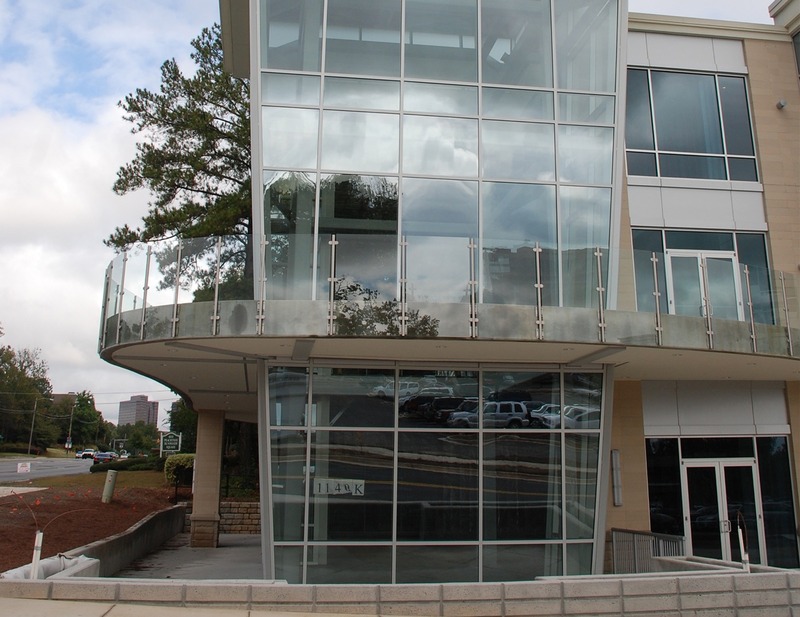 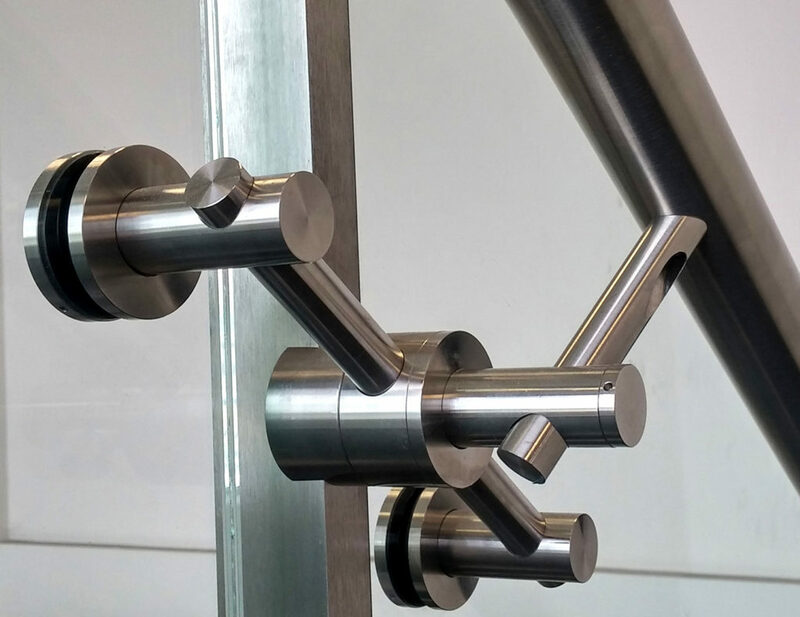 Point supported glass railing featuring fascia mounted stainless steel nodes. 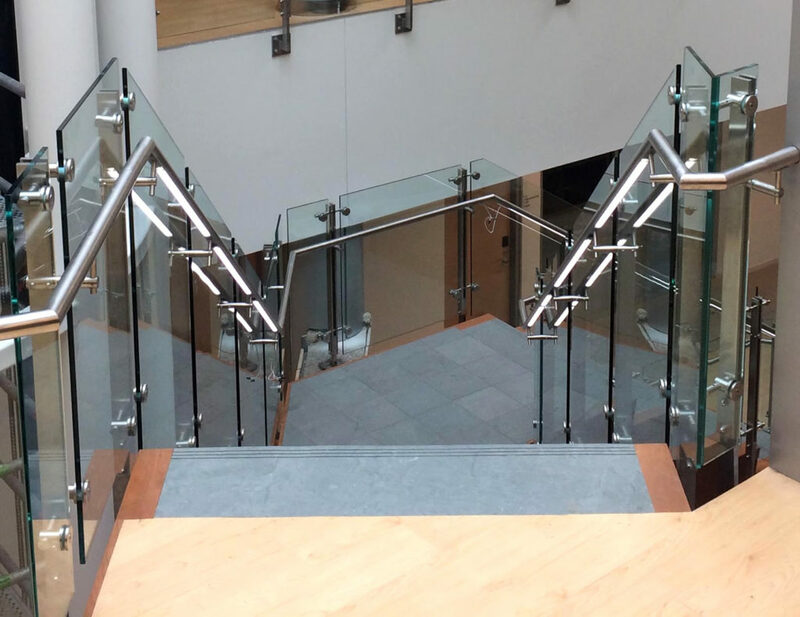 Circular glass mounts attached to trapezoidal posts. 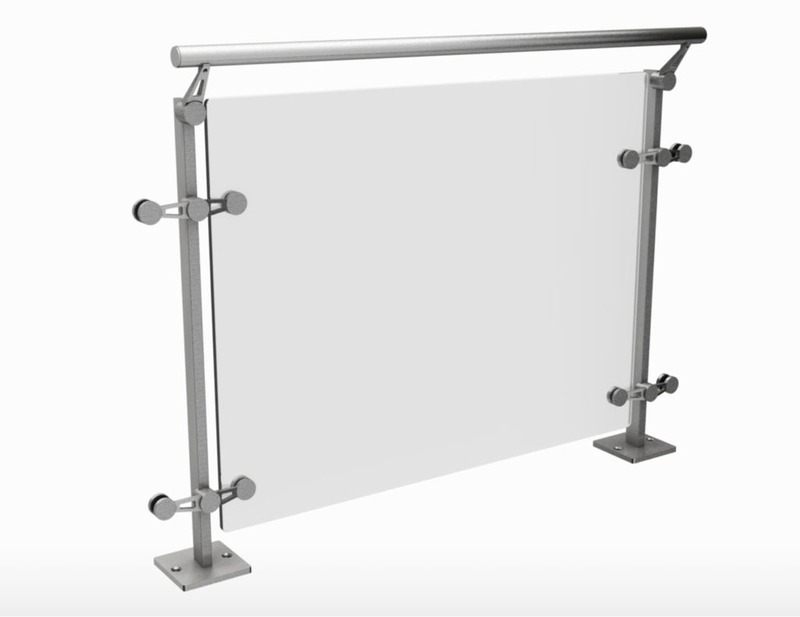 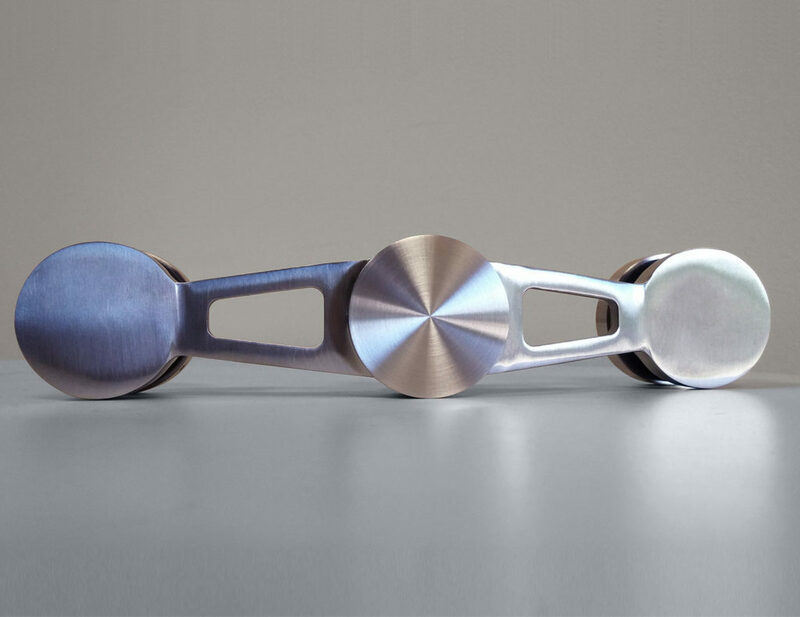 Solid double-bar posts with stainless steel through-glass button or glass clamp mounts. 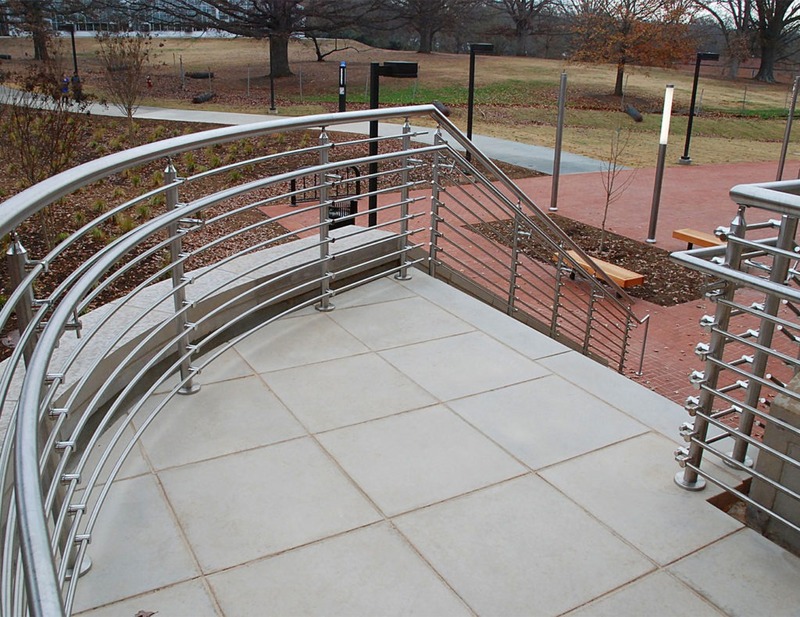 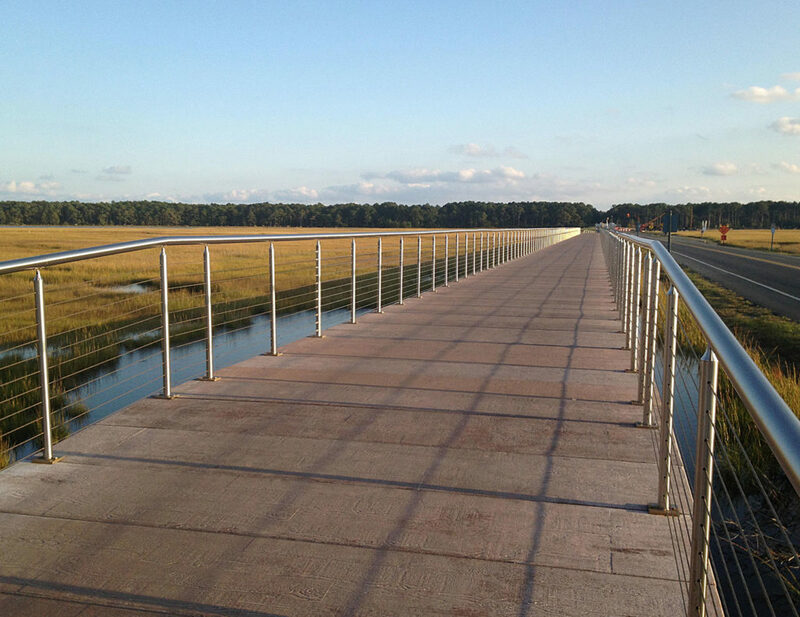 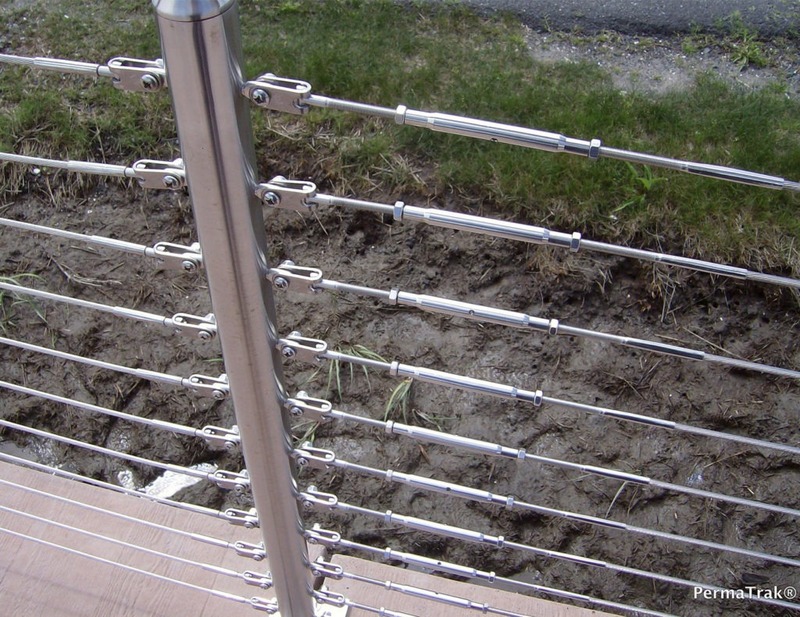 Cable railing system using 316 stainless steel cable and stainless steel round posts. 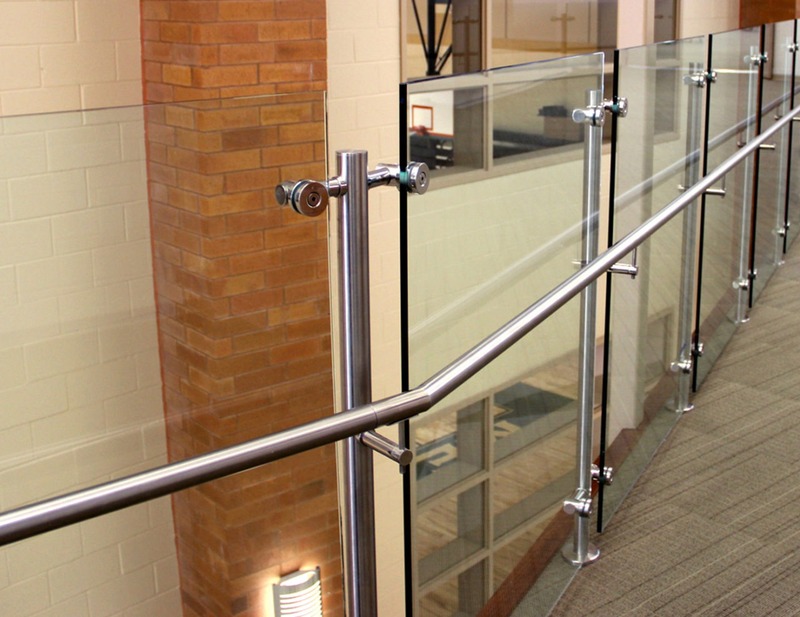 Post supported glass railing with sleek disc and rod assembly securing glass infill. 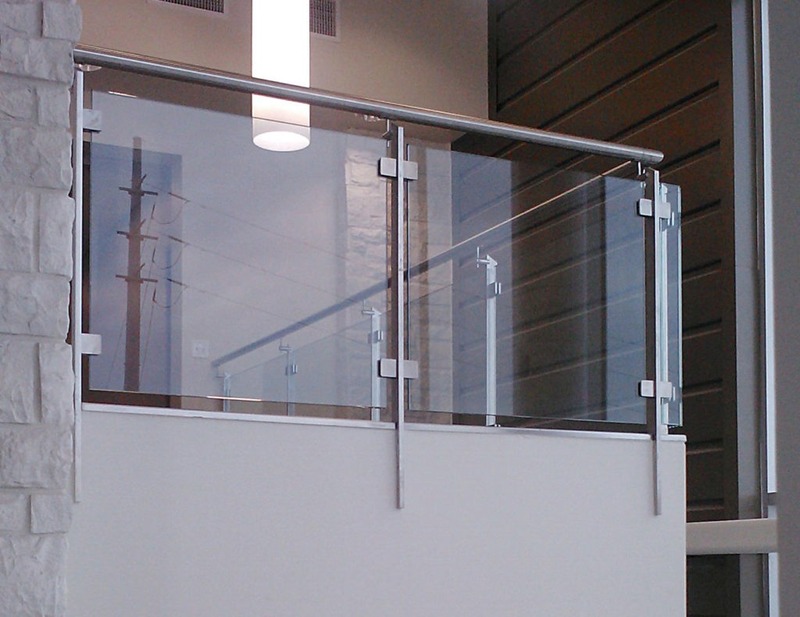 Post supported glass railing with modern rod style standoff affixed to glass infill. 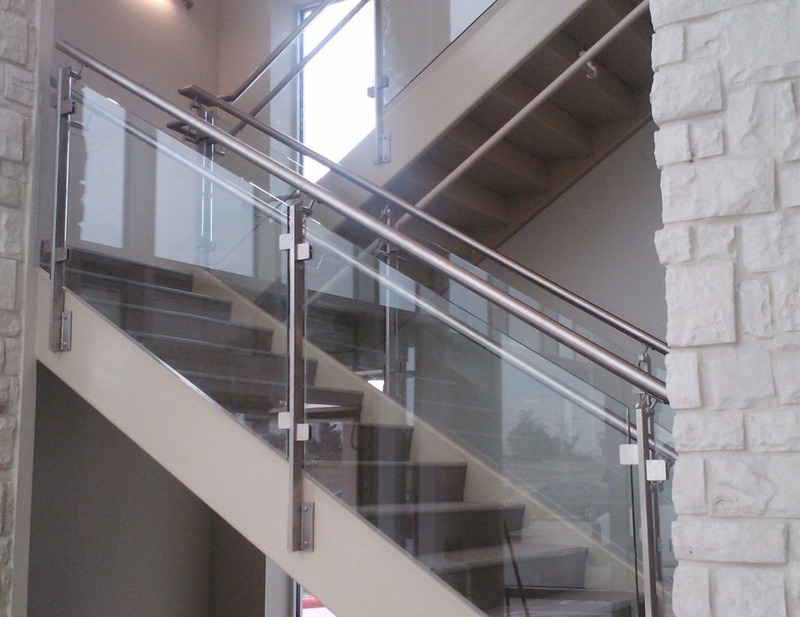 Disc shaped mounts that “flare” out on either side to secure the glass infill panel.